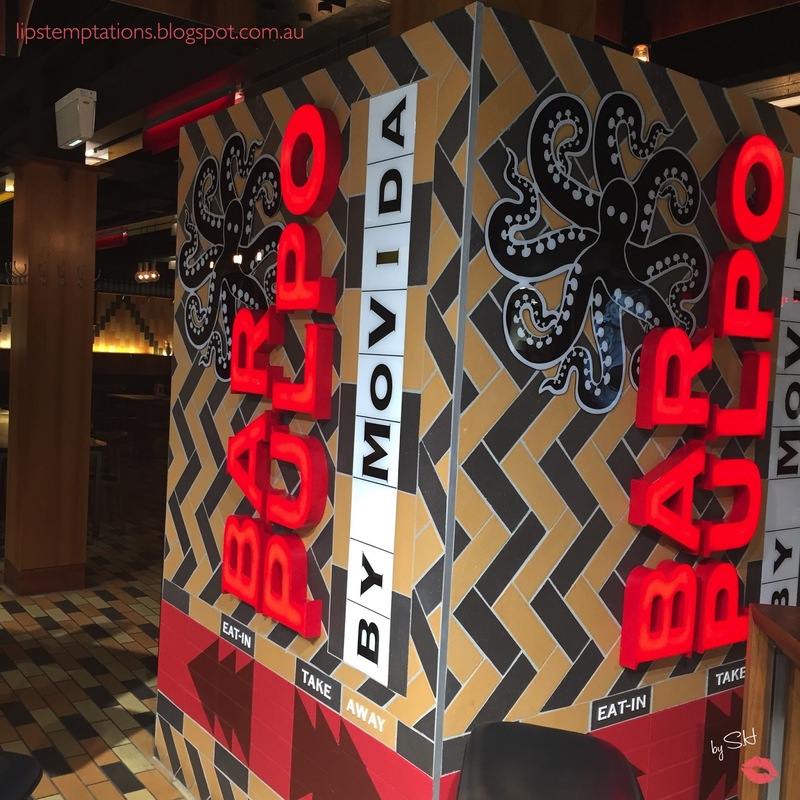 The popular and well known restaurant empire MoVida and it's talented Melbourne's chef, Frank Camorra decided to add Bar Pulpo (Spanish for Octopus) by Movida to it's empire a couple years a go. 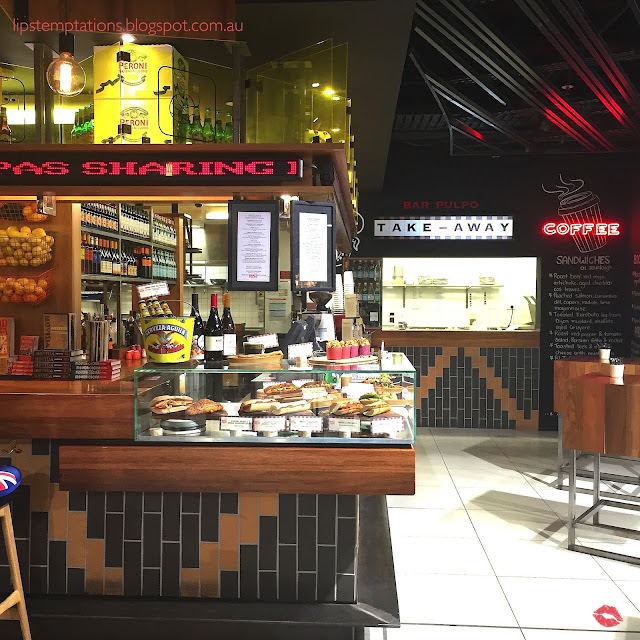 It is located conviniently at Melbourne Tullamarine Airport (after the customs). 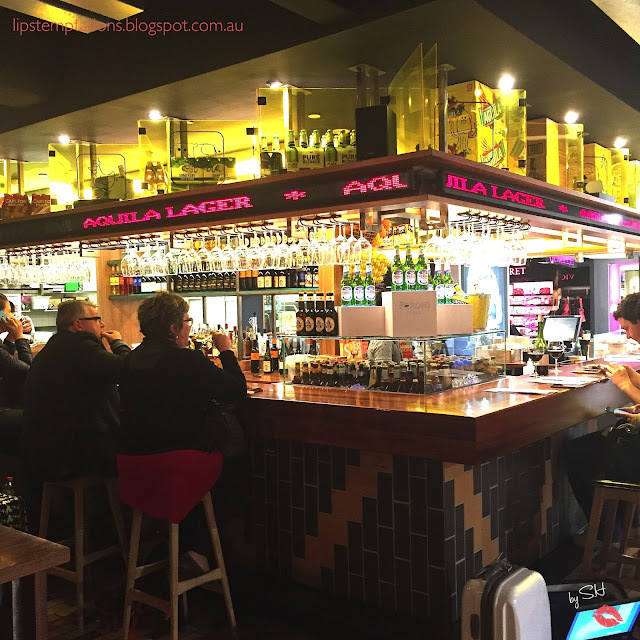 Bar Pulpo offers travellers a unique taste of Melbourne before take-off. Similar with MoVida they feature high quality local ingredients with Spanish flavours, as well as quite extensive Spanish and Australian wine list. Bar Pulpo styled simply edgy but have a classy flare to it. 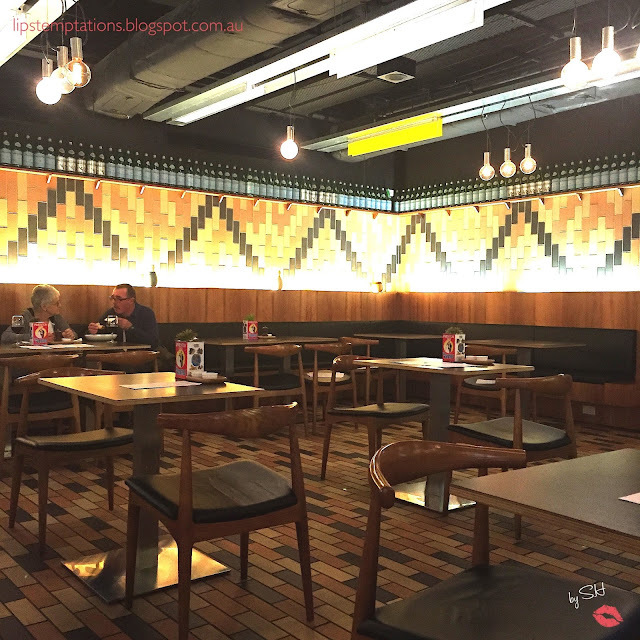 Colourful tiled floors and walls, dim lighting, comfy leather seats, able to accommodate larger group number of people or a solo travellers with individual bar stools. 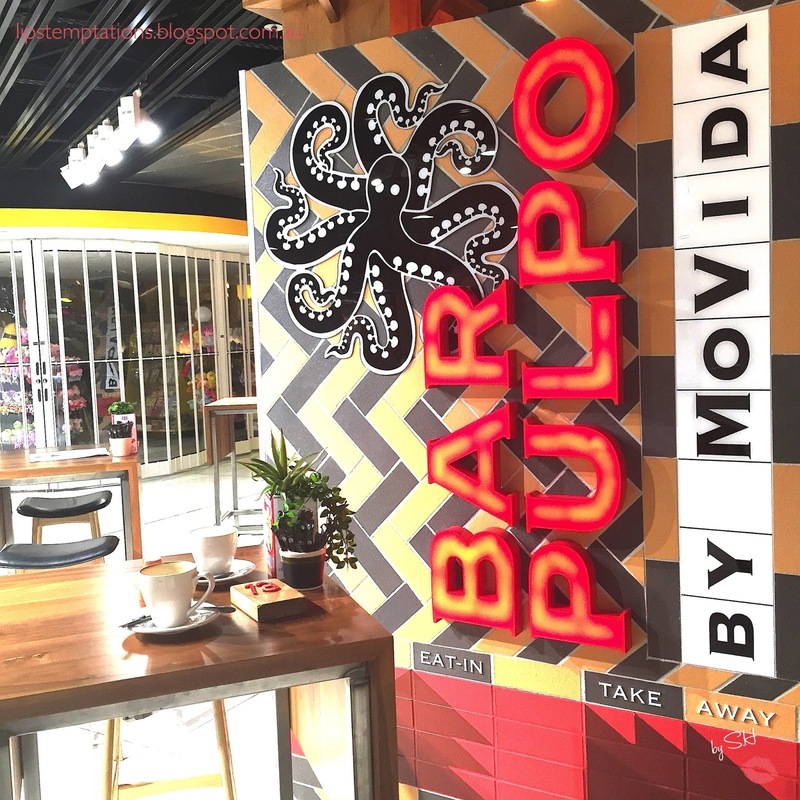 Bar Pulpo served breakfast, lunch and dinner. They served breakfast menu until 11am. 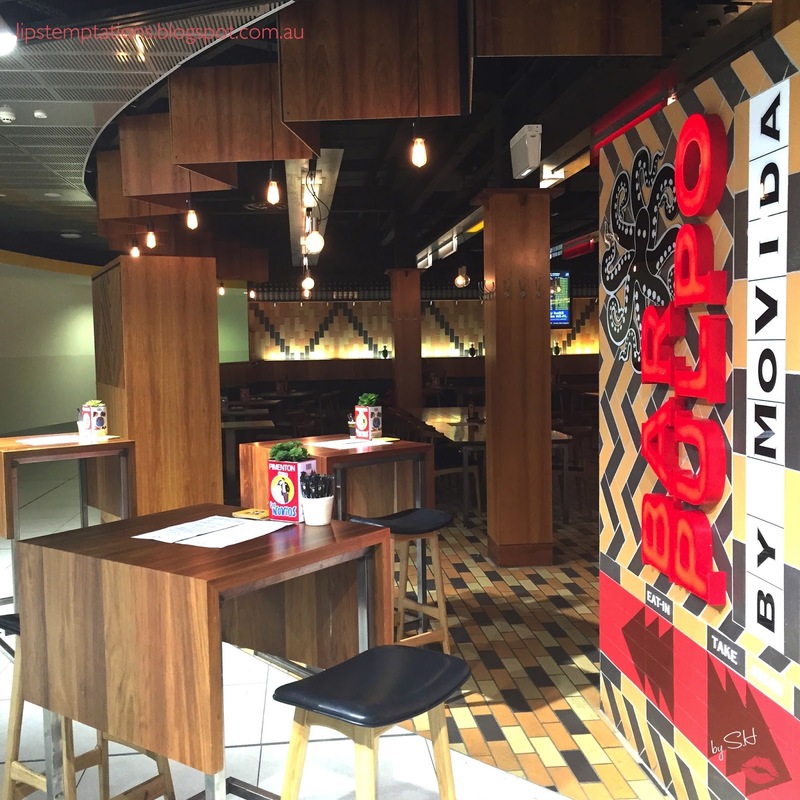 I went here once close to their first openings and was disappointed because the service was really slow, considering is in the departure lounge of the airport. 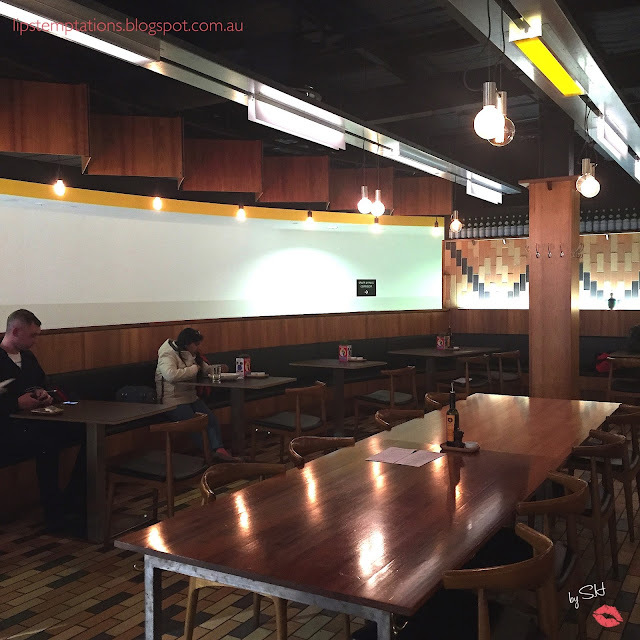 This review was based on my recent visit to Bar Pulpo just before I fly to Japan. It's around 8pm at night and the bar was quite empty but towards the end of my visits there are a lot more people hanging out. 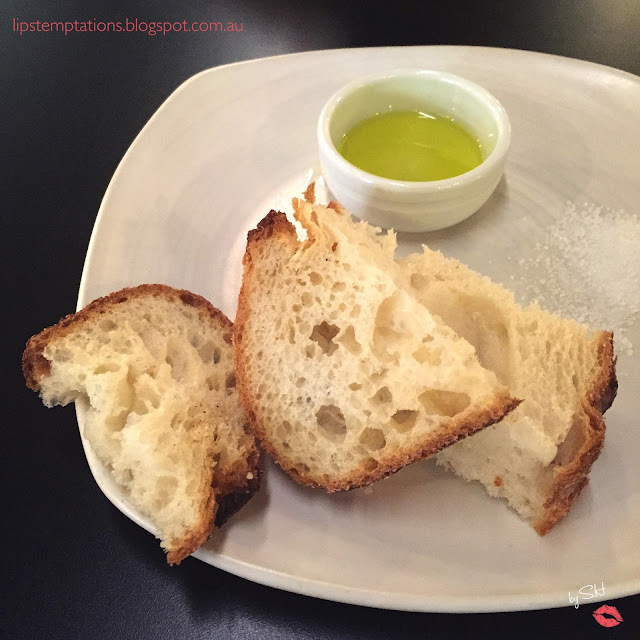 The complimentary bread and olive oils. The bread was nice, crunchy on the outside, soft and tasty inside. 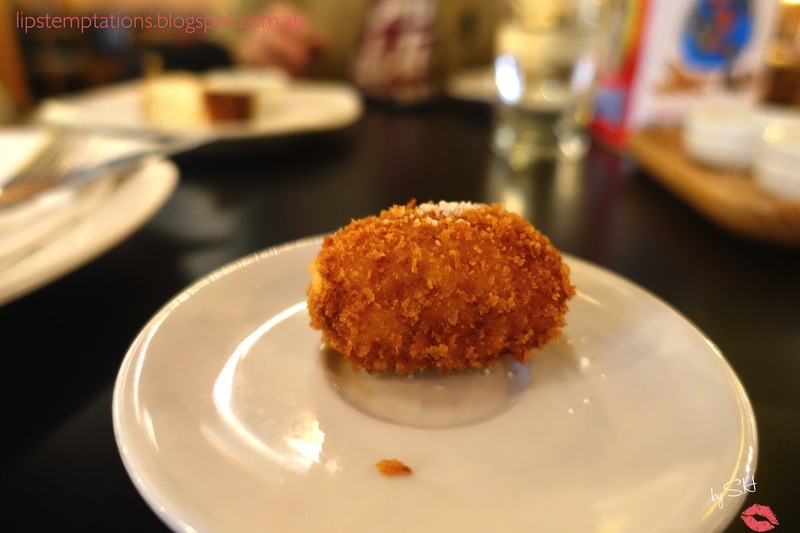 I decided to order Croquetta ($4.90 ea) - fried silky croquette with leek and mahon cheese. 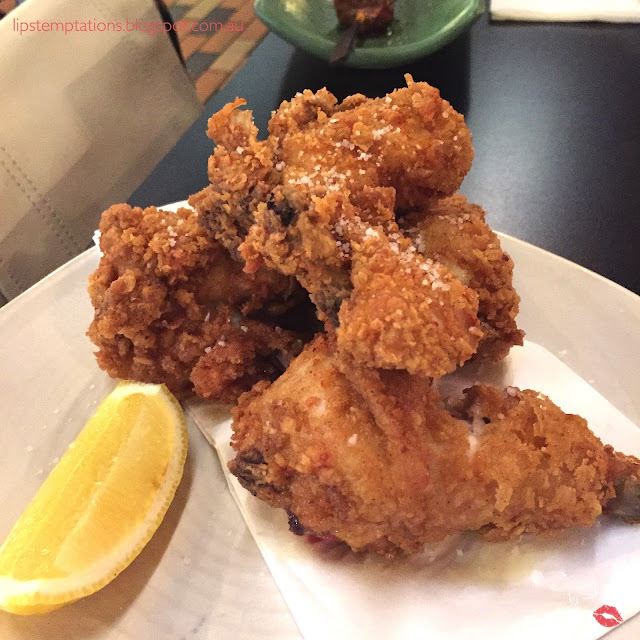 It was so smooth inside and crunchy outside but very salty. There are sprinkles of salt on top of it which I think not necessary at all since the inside already too salt for my taste. 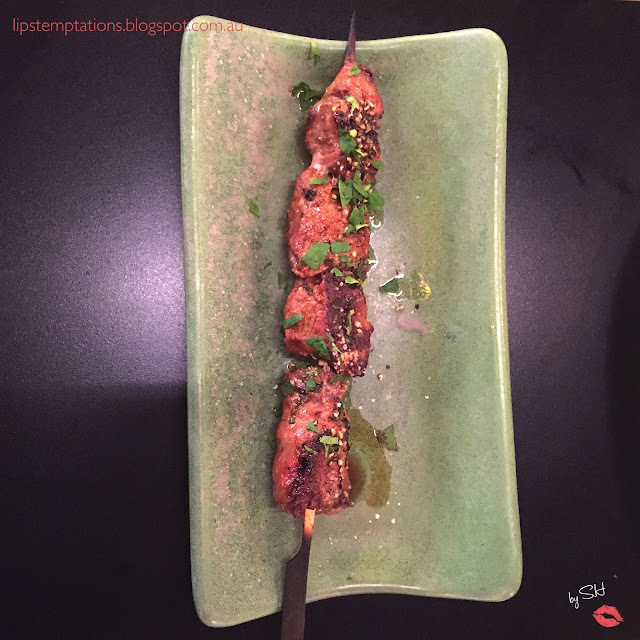 Pinchitos Morunos ($9 each) - chargrilled Moorish lamb skewers. 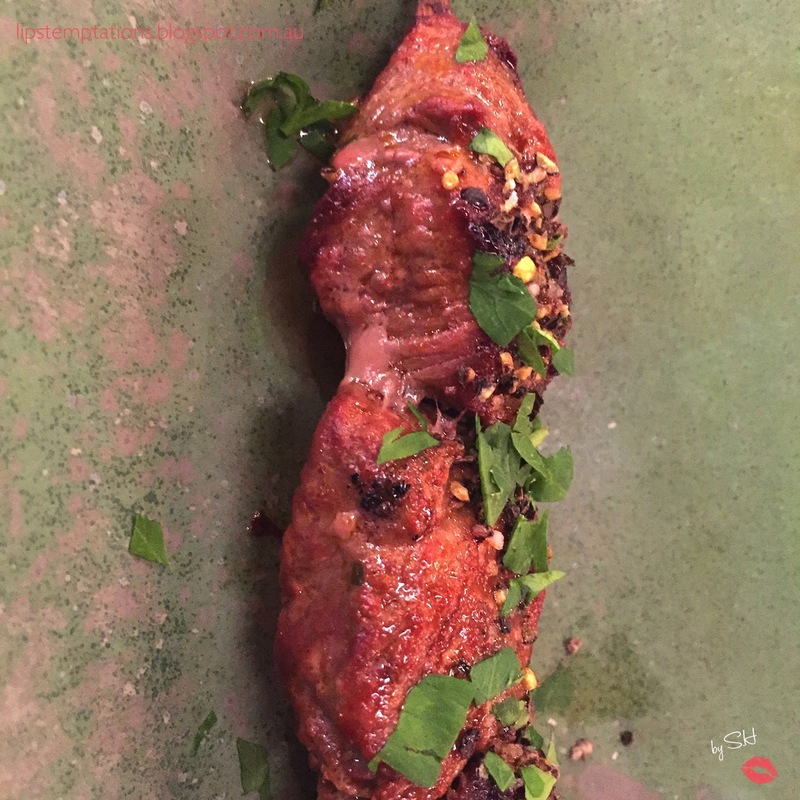 It comes out a big tough but still edible, it does not have the strong lamb smell which is good cause sometimes it can become unappetising. The skewers tasted good but I expect more from a bar made by MoVida. 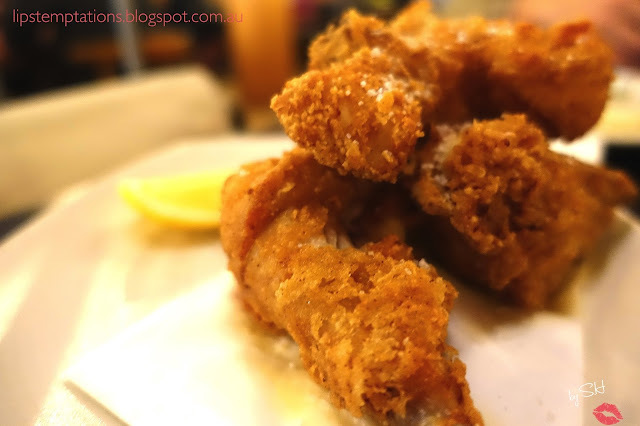 Pollo Fritto ($17.90) - deep fried spiced marinated chicken pieces. They come out just simply average and lack of taste inside the chicken. This is simply just a normal fried chicken. Churros ($12.90) - rich drinking chocolate and Spanish doughnuts. 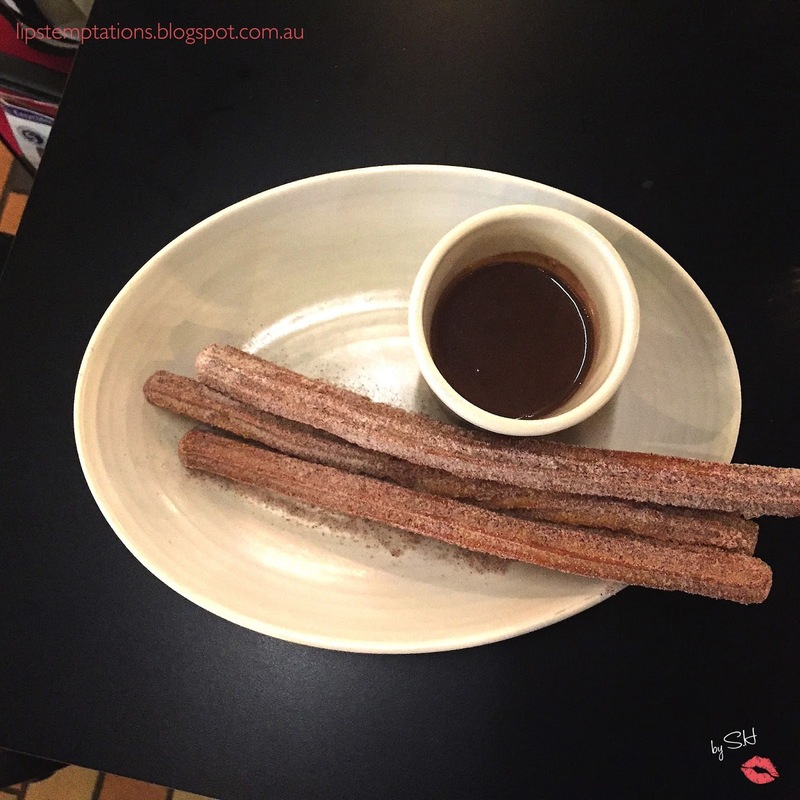 The churros was thin, nice and crispy but lack of consistency. 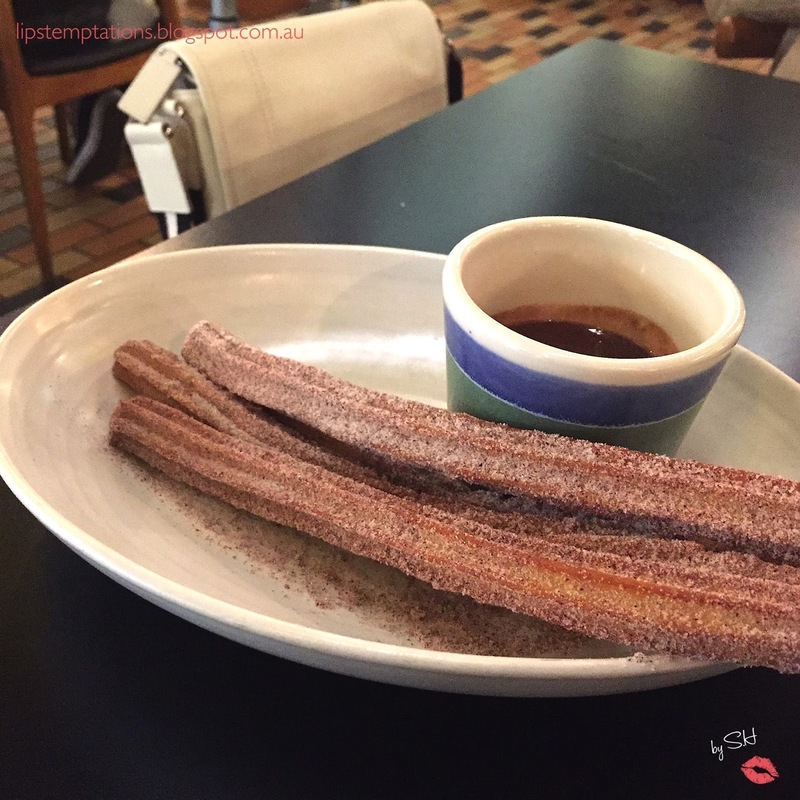 Some of the churros are soggy, some others are crunchy and some others are too tough to bite. The drinking chocolate was thin and sweet, in my opinion I would like the chocolate to be thicker and richer. The service it self was so slow and less attentive. There are only one staff running around between taking orders, delivering orders and processing the bills. 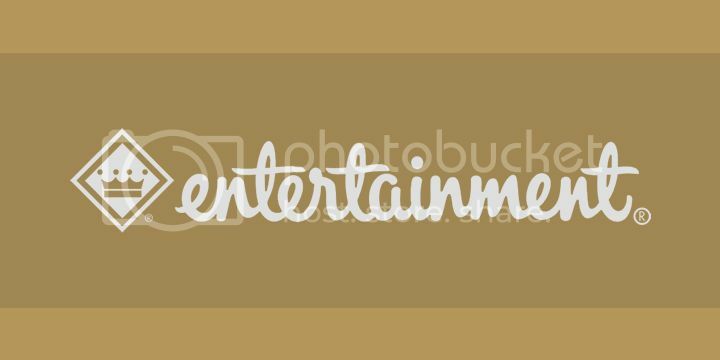 They definitely needed more staff to provide better service.